Antiquing with my sister again… We are in search of a big dining table for her… and ended up with a large cabinet she’ll use to sit the tv and media stuff on. And at 8’4″, just a smidge too long for her pickup bed! Neverfear, we had plenty of rope and blankets for padding… the piece made it over the mountain and to her house in fine shape! One dark neck stood out to me in the sagebrush, so I hit my brakes just to check him out. A few minutes later, he decides to leave, but a couple more heads poke over the ridge! 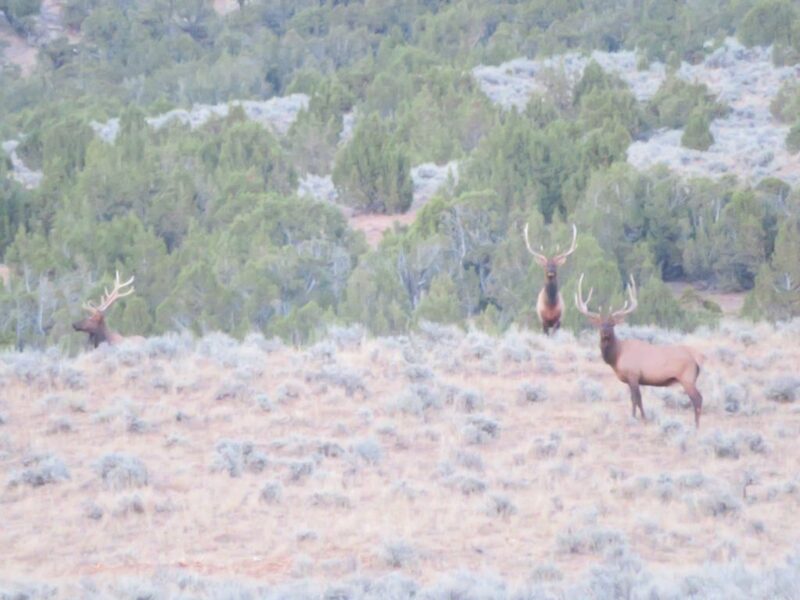 Who knows how many were back there, but I settled for these three bull elk. Antiquing – fun to just look, and more fun to buy! Sounds like you had a great time with your sister. Antiquing – fun to just look, and more fun to buy! Sound like you had a great time with your sister. Glad you had a good time with your sister – even if you did not get the table. There is always next time!! It means you can plan another antique trip to get the table.